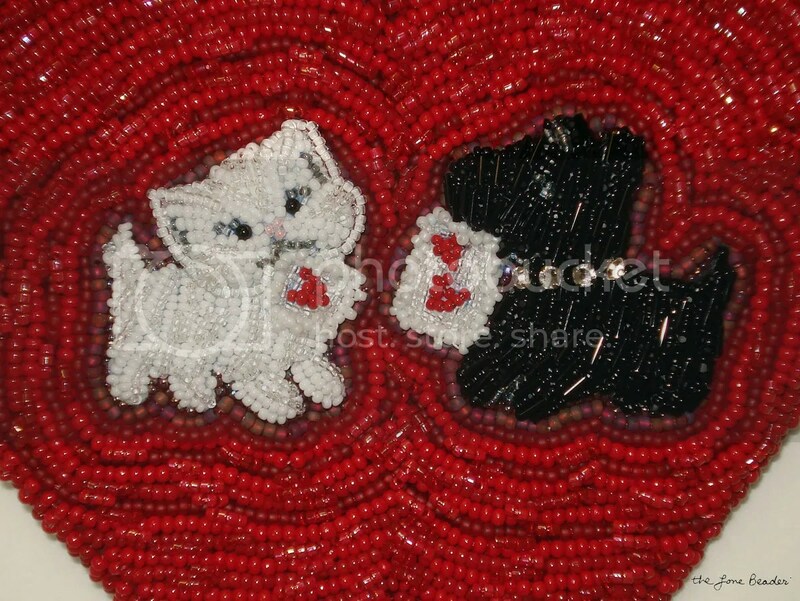 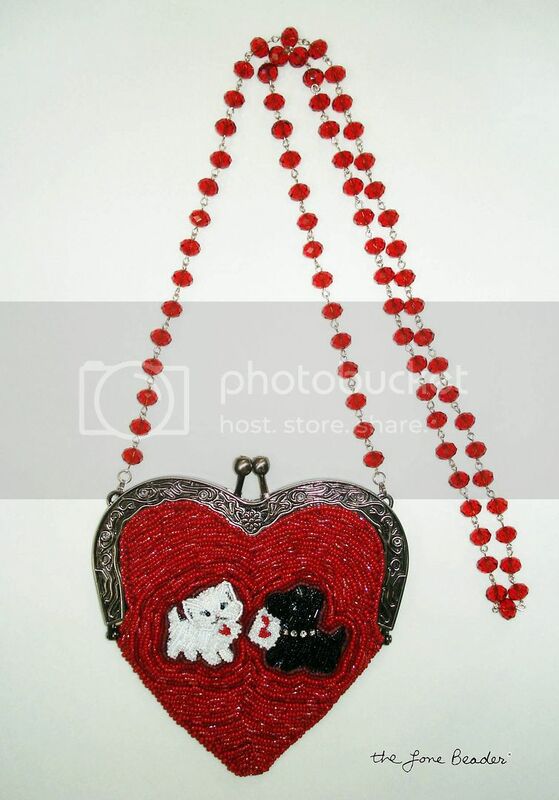 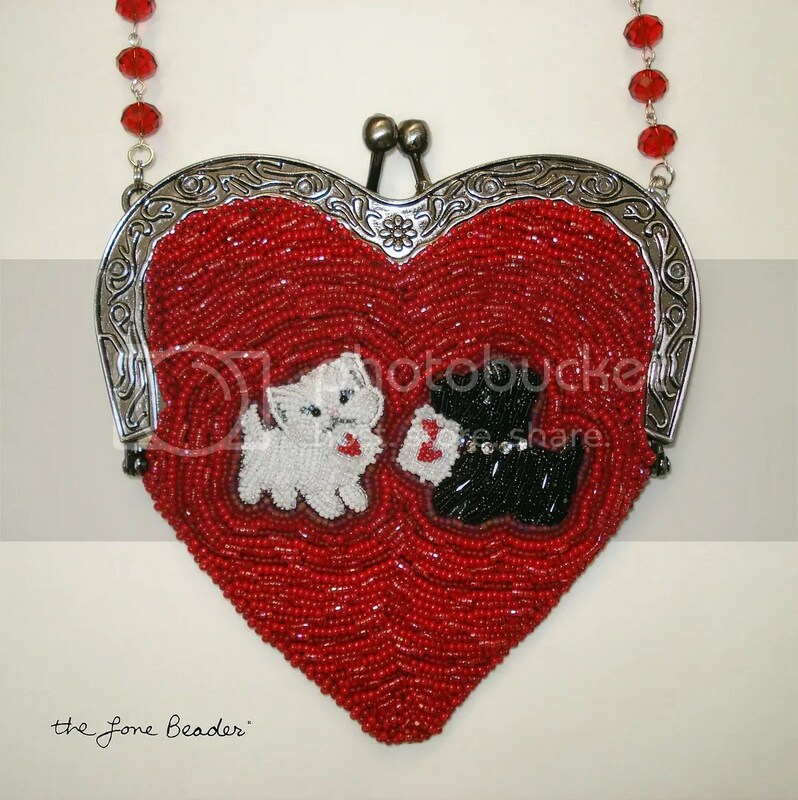 The design was inspired by a vintage Valentine & features a beaded white cat & Scottie dog. 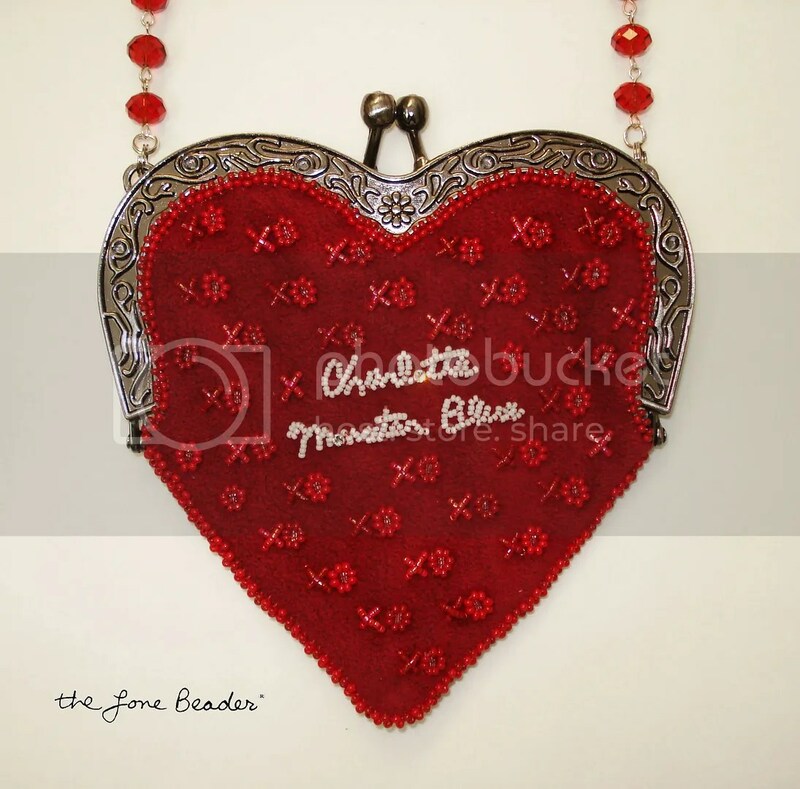 They were created using Japanese size 15 seed beads, size 13 charlottes & micro-bugle beads. 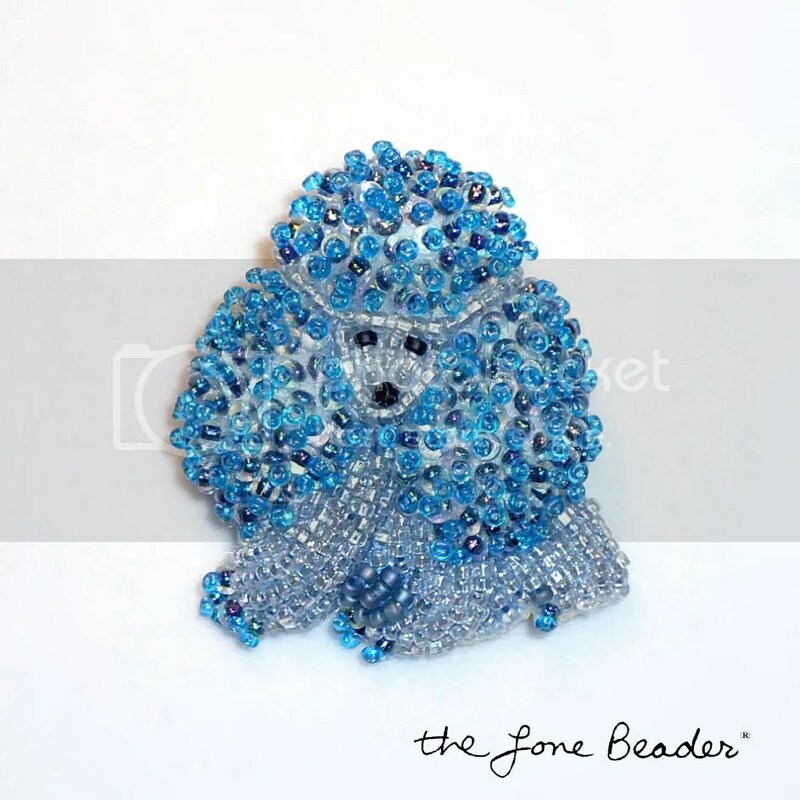 The dog’s collar features Preciosa’s genuine Czech crystal rosemontees. 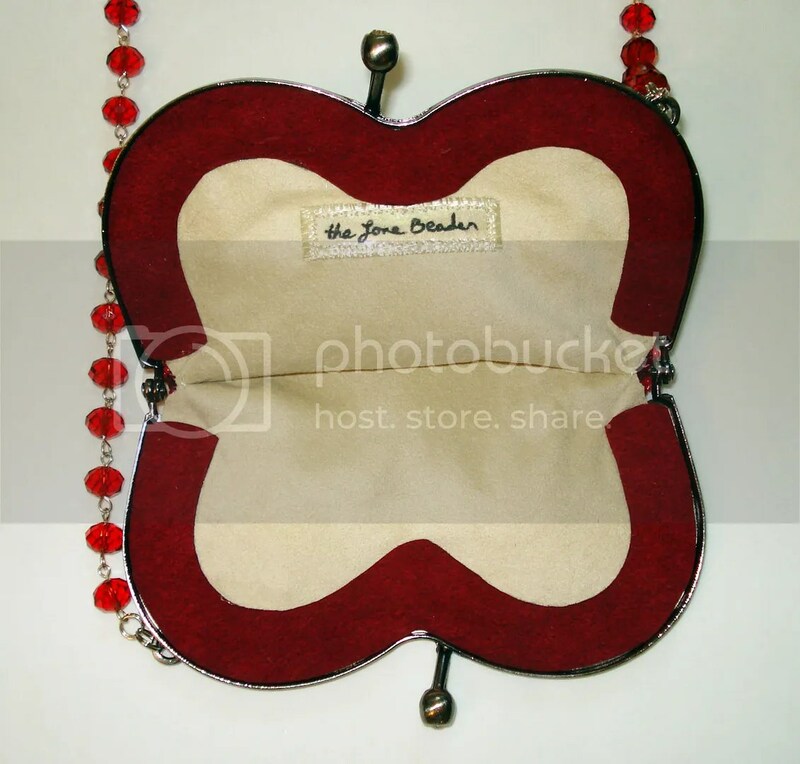 The purse is completed with a glass beaded chain and an Ultrasuede lining. First, I stitched my beaded cat & Scottie dog to the Ultrasuede. 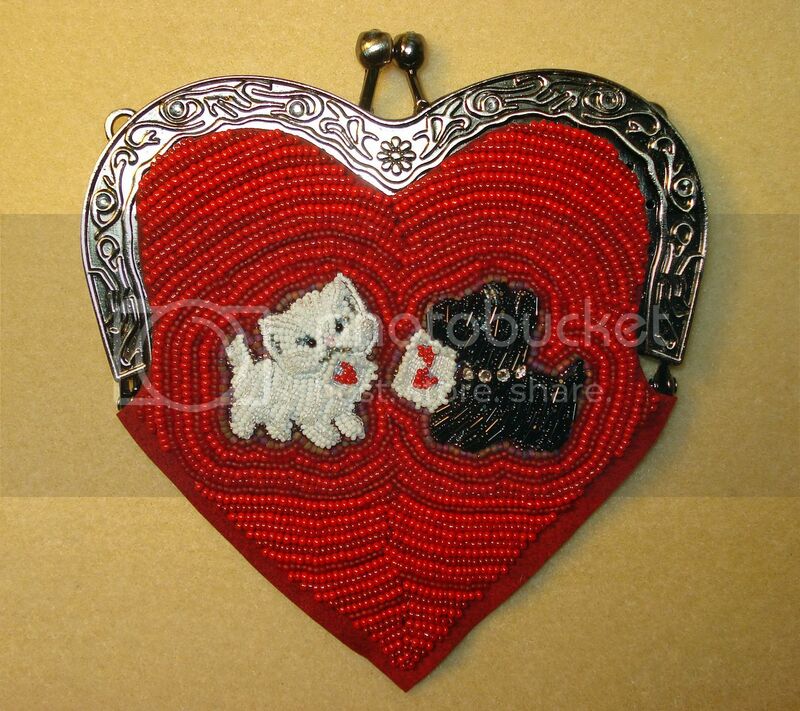 Then, I stitched on a few different shades of 11/0 Czech glass seed beads slowly working my way around the heart. 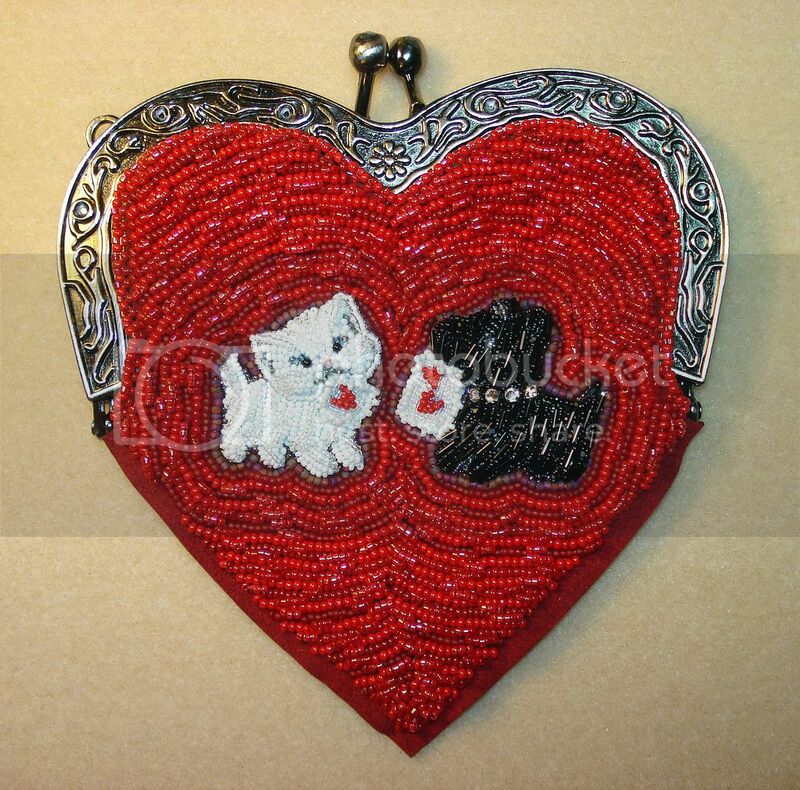 To add even more depth to the piece, I then stitched on red Japanese Delicas (with aurora borealis finish) over top of the Czech seed beads.